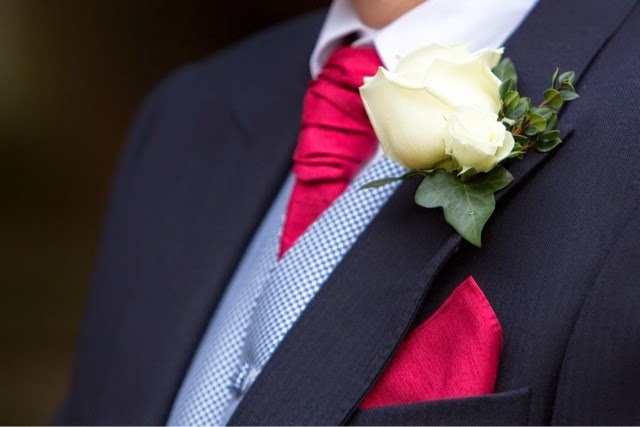 Buttonholes no longer need to be a carnation with a piece of fern. There are so many different options avaialble to suit all styles of weddings. Naomi rose buttonhole with ivy. 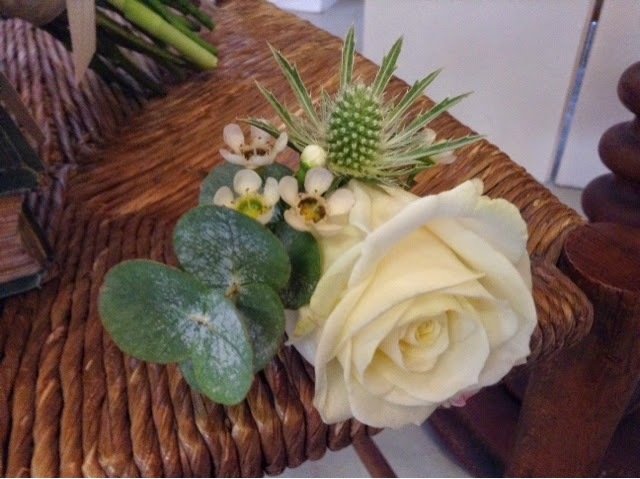 Classic ivory rose buttonhole with ivy and Myrtle. 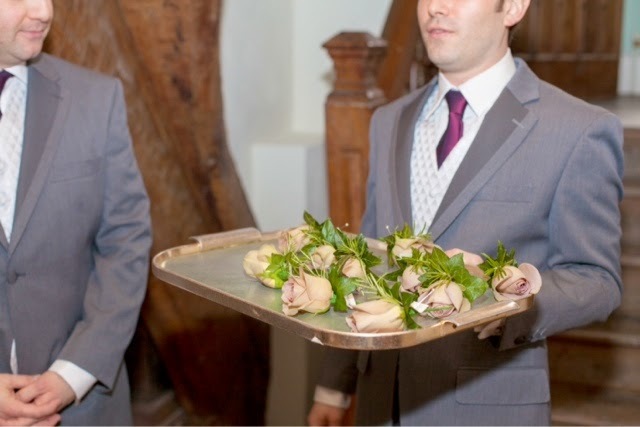 A tray of rose buttonholes ready to be pinned on. 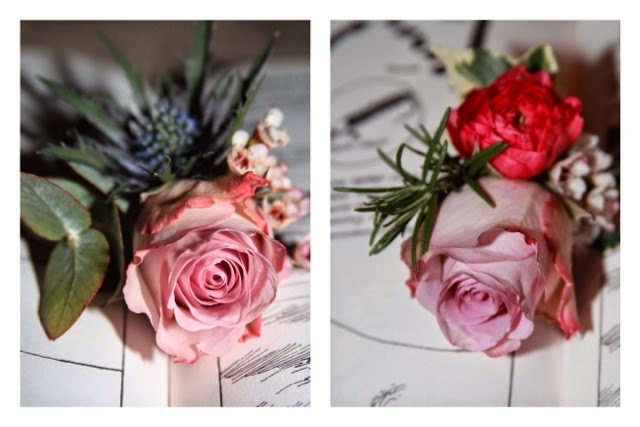 These buttonholes use a beautiful pale purple rose, ideal for a vintage wedding. 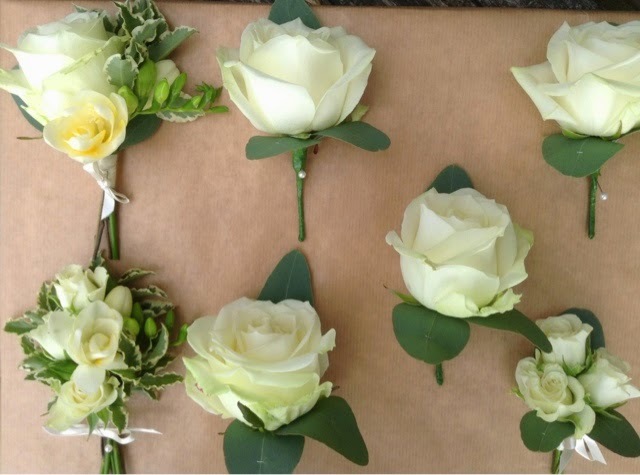 Buttonholes don't need to be just a rose. How about incorporating some of the flowers used in the brides bouquet? A beautiful Memory Lane rose with blue Eyringium, Wax flower and Eucalyptus or maybe add a splash of colour with a bright pink ranunculus? 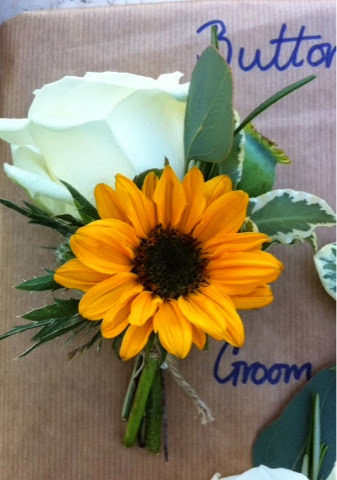 Ivory rose with white Eyringium, mini sunflower, poppy head and foliage and tied with a piece of rustic twine. Ivory rose and white freesia tied with an ivory ribbon. Ladies can also wear buttonholes! 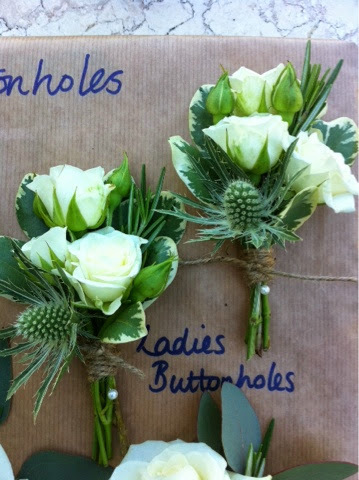 Instead of a traditional corsage why not have a ladies buttonhole. 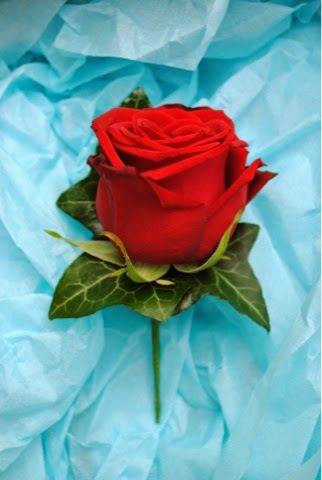 Wear it just like you would wear a men's buttonhole, none if this inside down business! These buttonholes are slightly more delicate than a usual buttonhole and can be made to match any outfit! 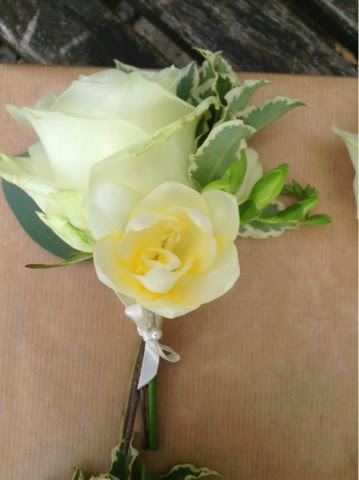 Ladies buttonhole bottom left, including spray roses and freesia.